Papers: In the Robert M. La Follette Papers, 1855-1925, 57.6 cubic feet. Subjects covered include Edward Everts Browne. A box list and a published guide to the microfilm edition contains extensive content notes. Sellery, G.C. 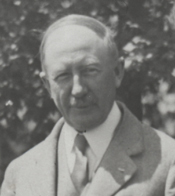 "Edward E. Browne, 1868-1945." Wisconsin Magazine of History 30 (December 1946): 186.